The Lone Ranger is a big expensive movie with lots of ideas. After all, director Gore Verbinski is known for that sort of thing (it's an admirable trait but it may be his downfall). At a budget of over $200 million dollars, you can tell that every inch of the screen was well spent. The period detail and set design are all top notch. But here's the thing, a lot of Gore's films have an abundance of plot threads, tend to be rooted in confusion until the final twenty minutes wraps things up, and suffer from a well intentioned, yet abundant amount of over length. "Ranger" mind you, is one of those vehicles. However, I'm going to hold my breath and recommend it. Yes, it's an adequate crowd pleaser but it probably could've been trimmed down by about a half hour. In hindsight though, this is a film that in my mind, secures its place in any summer movie goer's checklist. Its got Johnny Depp teaming up once again with Verbinski (these two have a solid track record you know). They've made a handful of Pirates of the Caribbean movies together and if you are a fan of those endeavors, you'll for sure enjoy this take on the famed 1950's T.V. show. Now it is for statutory purposes, a mild adaptation on that ancient sitcom as well as the 1930's radio program. But make no bones about it, we're talking "Pirates" of the old West here. Depp playing Tonto, riffs on his goofy, likable turn as Captain Jack Sparrow in that Disney theme blockbuster (he also sort of channels the voice of his Hunter S. Thompson character in Fear and Loathing in Las Vegas, who knew?). We also have an up-and-comer in Armie Hammer inhabiting the title role. Despite what you might have heard, I think he was well cast (Depp too for the same reason). The character of the mask hero (John Reid is his alias) needed to have a strong screen presence and an intimidating look. In real life, Hammer is 6'5" and he puts the napoleon complex of most actors being short to rest. All in all, "Ranger" entertains you with its tongue and cheek humor, its rollicking action sequences, and its accurate, stylish look of that time period (late 1800's to be exact). Also, it rides the curtails of the trait made popular by the "Pirates" movies in which you witness how many times characters escape death or peril in a 2 hr. 30 minute exercise. To be honest with "Ranger," I may have lost count, and that was only about an hour in. 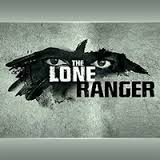 Not quite deciding whether it wants to be an action adventure or a full-on comedy (there are scenes that literally separate the two, especially with the background music), The Lone Ranger tells the story of John Reid (Hammer), a Texas district attorney who while on train ride to visit his brother (ranger and fellow law enforcement officer Dan Reid), finds himself in the middle of a robbery/hijacking orchestrated by cowboy thugs (William Fichtner as Butch Cavendish, is the ring leader with a sort of penchant for human hearts) with nasty facial scars and unkempt, yellow teeth. The thugs escape only to kill John's brother later in an act of unclear revenge. Hammer's character decides to hunt down the killer of his brother with the help of an eccentric, playful indian named Tonto (Depp, carrying a dead bird over his head that he actually pretends to feed). By doing this, Reid unknowingly becomes "the lone ranger" through the act of masking his identity via name and appearance. Why you ask, because as Tonto states, "all good men must wear mask." As far as casting goes, Depp plays yet again, a kooky liberated character. Hammer, so brilliant playing twins in The Social Network, is a bold, risky choice that sort of pays off as long you don't take him too seriously like the more famous Superman and Batman. You see, within almost every frame, there are countless extras and bit parts. But the strongest hint of acting belongs to supporting player Tim Wilkinson (railroad tycoon Latham Cole). As a former Oscar nominee, he gets the film's juiciest dialogue. He's truly has one of the best acting voices in Hollywood. Alas, he doesn't get to spice things till well past the halfway point. In essence, The Lone Ranger could've done without a few hiccups here and there. 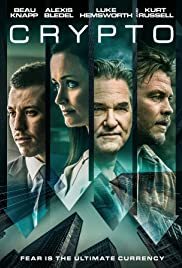 For one, I found the present day scenes with Depp as an old man (possibly 90 years old and reflecting on his life via side show) sort of unnecessary but mildly amusing (Was it a fantasy? Did it come from the kid's mind who was listening to Tonto's yarn spinning). In my brain I tried to avoid the notion, you know that maybe all the events in "Ranger" might have never took place (I'm not a huge fan of this concept). Also, toward the climatic train chase that really ties the whole thing together, you have an out of place helping of The Lone Ranger theme music coming on. I got annoyed by it because it didn't actually fit the flow of the scenes (why do the filmmakers feel it necessary to pay tribute to network shows they are adapting. For gosh sake's the movie is its own entity). Nevertheless, this is the type of cinematic toy that gets by on its strengths. It's campy goodness that succeeds with the humor and likability of the leads, the Indiana Jones style of escapism, and the rock n' roll style of Mexican standoffs (I hope Tarantino doesn't get jealous). I don't know if I'd hail it as groundbreaking, but with two and a half hours to kill, this is pure summer matinee bliss. And to echo the first part of my review, a plethora of film ideals is better than little or none at all.